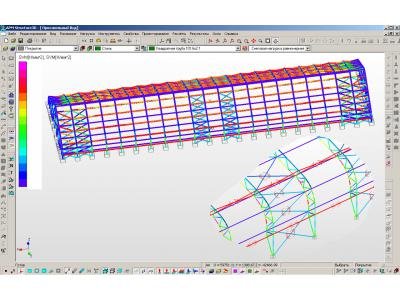 Strength calculation of steel structures hangars "Titan"
Scientific-Technical Center "Fermmash" is recognized as a Russian company specializing in the design of livestock farms and complexes. 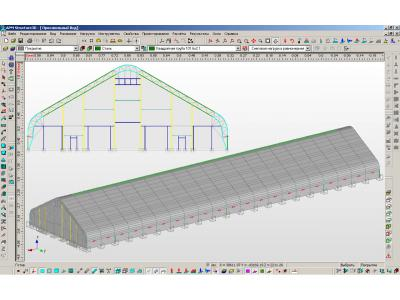 By order of the SEC "Fermmash" was performed strength calculation of hangar metal structures. 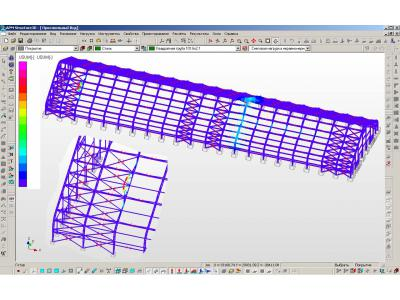 Estimated strength calculation circuit and hangar designs implemented via APM Structure3D module constituting the APM Civil Engineering Prof. system STEEL v.9.6. 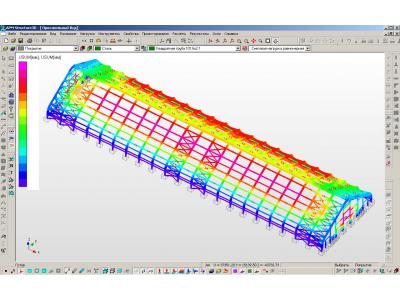 The building structure is a set of trusses, which are interconnected by means of battens and tension cables. In turn, the farm - it is through metal. The particular form of construction provides good load-carrying capacity of the power frame. 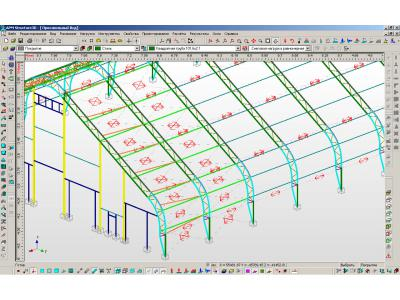 This ensures high levels of design criterion weight for the covered areas. When calculating the hangar considered such loads on metal structures as: pretensioning ropes own weight of the structure, snow and wind. applicability analysis of the day of this design in European Russia snow load was calculated for three snowy areas (1st variant - IV-snowy district, 2nd Edition - III-snowy district, 3rd variant - a summary of the real magnitude of the snow cover) . Fundamental differences in the obtained results to each embodiment is not, so herein will be submitted only to the third embodiment. 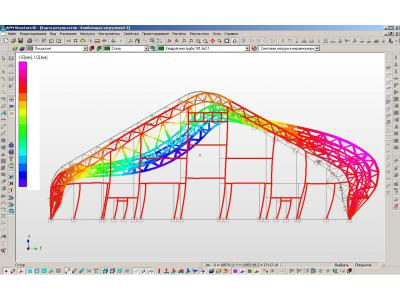 building design calculation is carried out on the basic load combinations, consisting of permanent, long-term and short-term loads. 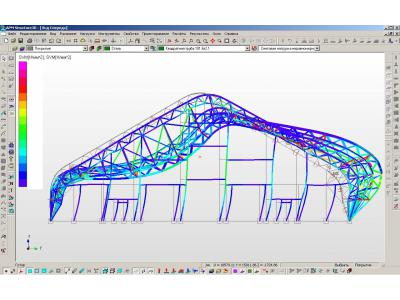 six combinations of the previously created load cases were considered for the calculation of the third option. Table 1. List of "Combination of loading." The third combination of loads was the most dangerous, the results of it are shown below. stability calculation was performed for the most unfavorable combination of loads, the results of which are presented below.